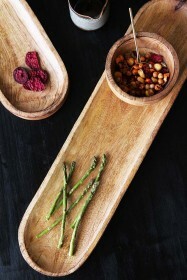 There is something about eating from wooden bowls, plates and platters that makes food taste better. 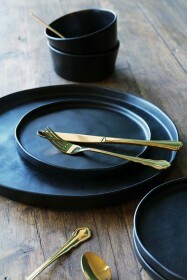 Perhaps it’s because the wooden tableware makes your food look more visually pleasing? We eat first with our eyes, after all! 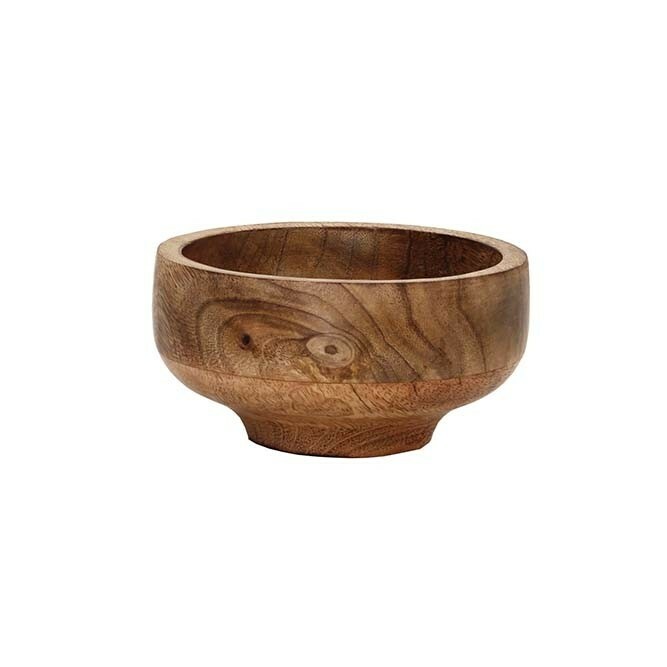 Carved from Mango Wood the Mango Wood Small Bowl is really beautiful with an organic, natural pattern that is unique to each bowl. What’s more, the natural material is a sustainable, eco-friendly alternative to other crockery options and is also bio-degradable which will keep the bowls out of landfills. 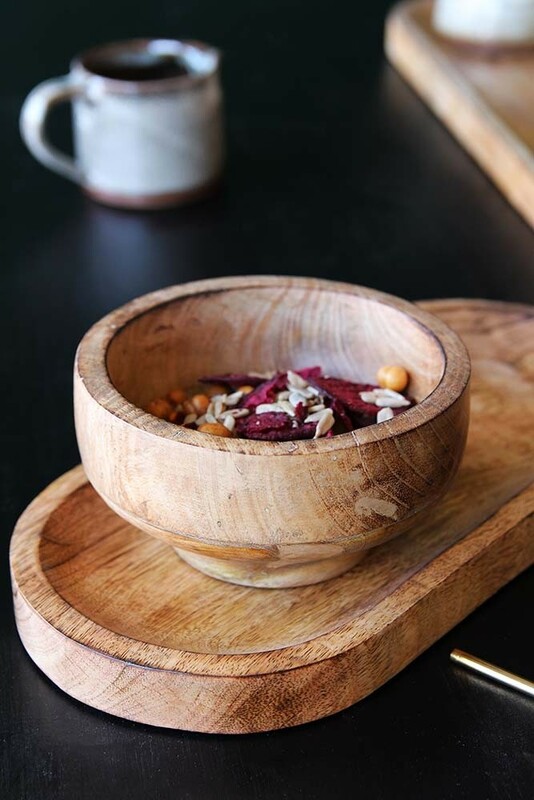 Long-lasting and durable the Mango Wood Bowl is suitable for all dishes be it hot or cold and will look great when paired with our Mango Wood Serving Platter, Sushi Platter and Wooden Plates for a totally instagrammable spread of food!